Every program and service offered by Char-Em ISD has one goal at the fore: How can we meet the needs of our children and families throughout Northwest Michigan, in the classroom and in their communities. Char-Em staff strives daily to reach our littlest residents through Early Childhood initiatives that help families provide the supports needed for children birth through age 6. 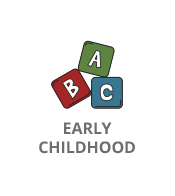 Outreach through programs like Early On, the Great Start Collaborative and other programs and services ensure that supports are in place at a young age. Special Education is a critical component of the ISD’s services. 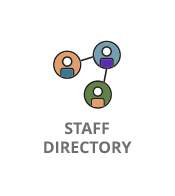 Throughout the region each day, staff are connecting with students of all abilities and setting them on a path for personal success. 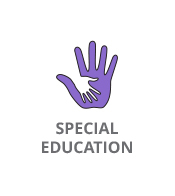 It is easy to see the compassion, training and expertise Char-Em’s many special education providers possess as they work with students at the Taylor School in Petoskey or in any of the number of classrooms that operate within local districts. Secondary Transition services work to place adult students in meaningful jobs where they can feel the pride of earning of a paycheck and contributing to the operations of a local business. High school students find summer employment opportunities, too, that give them an introduction of what it takes to be a good employee. Career and Technical Education is another core service area of Char-Em ISD. As the pendulum swings toward the recognition of the importance of the skilled trades and training our students for careers after high school, Career and Technical Education courses are in high demand. New courses are being developed annually that reflect workforce and economic trends. New in 2018-19 is a Lineworker training program; Char-Em CTE is also teaching students how to fly high through our aviation program! 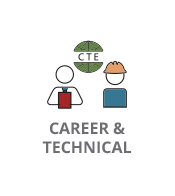 With 17 CTE Programs, there has never been a better time to explore a career while still in high school! For high school students who haven’t found success in a traditional high school setting, three Alternative Education programs provide another avenue for graduating. 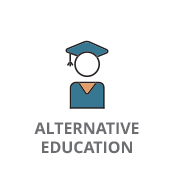 Staffed by caring, committed instructors who work hard to help students earn their diplomas and participate to their communities, Char-Em’s alternative high school programs are making a difference every day in the lives of their students and families.